Myrtle Emett Martin, 91, passed away February 15, 2018 in Gunnison, Utah. She was born July 16, 1926 in Richfield to Mary Cottam and George Franklin Emett, Sr. She married Claude W. Martin, July 23, 1956 in Central. The marriage was later solemnized in the Las Vegas LDS Temple. He preceded her in death. She had a loving personality who easily made friends wherever she went. She loved to provide service to others and always found time to do something for someone else. She had a great sense of humor, and was the "official" family historian. She attended the temple regularly. She served as the ward librarian for many years and she was a dedicated visiting teacher. 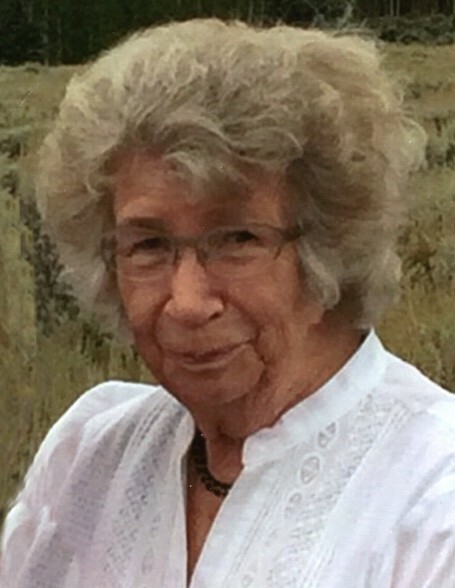 Myrtle graduated from BYU where she received her Master’s degree in education. She was an avid supporter of the Y’s athletics. She taught school in California and Nevada. After she retired from teaching, she still continued to teach those she loved. She is survived by a son, David Martin; 4 grandchildren; 4 great-grandchildren; several loving nieces and nephews. She is preceded in death by her husband; granddaughter, Hillary; siblings: George Franklin (Von) Emett, Jr., Ellen (Jack) Lambert, Walter Dean (Lois) Emett, Ilene (Bob) Rittman, Ruth (Chet) Cobain, Rose (Gill) Ayers, Emma Jane (Keith) Nielson. Funeral services in Utah will be held at 11:00 a.m. on Saturday, February 24, 2018 in the Magleby Mortuary Chapel, where friends may call on Saturday after 10:00 a.m.
For Las Vegas friends and family, there will be a visitation at Davis Memorial Park, 6200 South Eastern Ave on Monday morning, February 26, 2018 from 10:00 to 11:00. Graveside services will follow at 11:00. The family extends their heart felt appreciation to the doctors and staff at Stonehenge of Richfield, Monroe Canyon Assisted Living and Gunnison Valley Hospital for their love and care of Aunt Myrtle.